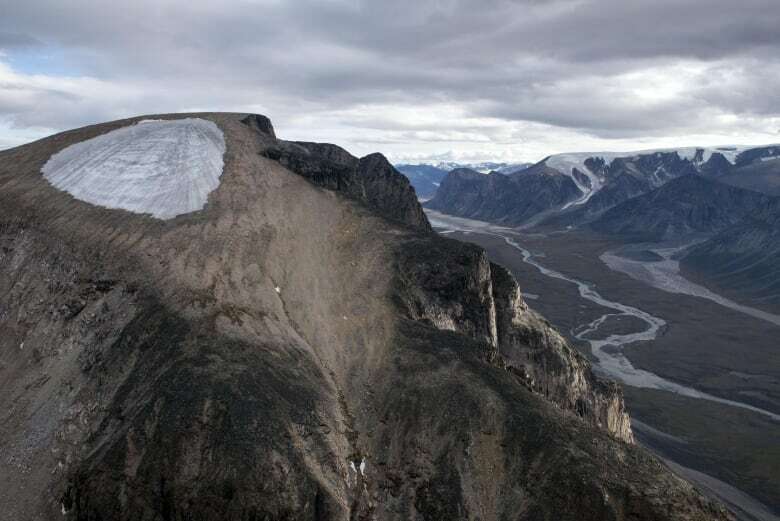 A researcher's work has led him to believe Baffin Island is at its warmest in 115,000 years. Melting ice caps are exposing plants on Baffin Island that have been frozen for more than 40,000 years, according to a new study, leading the head author to believe the last century of warming has been greater than any other over the last 115,000 years. Simon Pendleton, a PhD researcher at the University of Boulder Colorado, started looking into the plants at the base of ice caps in 2013. 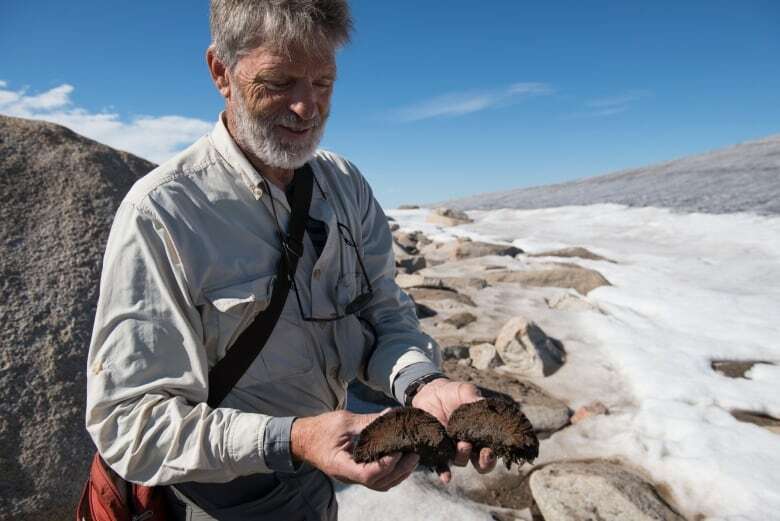 Pendleton's PhD advisor, Gifford Miller, was then doing work on the island and noticed that as glaciers melted, they would reveal the ground underneath them, including some plants that were upright and rooted. "They're really kind of inconspicuous," said Pendleton. "They're the dirty brown lumps that are sitting next to the edge of the ice." They took the samples from about 150 ice caps in late August and September, when they're at their smallest. 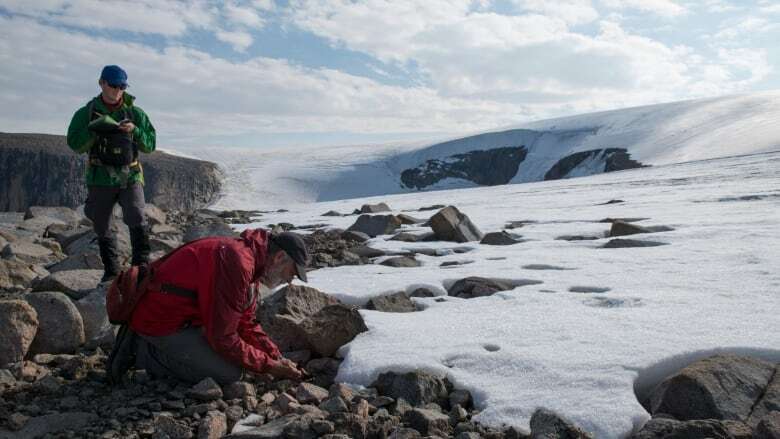 For the study, researchers collected plants at the edge of ice caps and sent them to a lab, where they were carbon-dated, allowing them to find out roughly how old they are. But carbon-dating is limited and could only tell the researchers that plants from 30 of the ice caps were more than 40,000 years old. So they looked to other research to find out what the climate looked like 40,000 years ago, and concluded the plants had to have been frozen earlier. "You're right in the middle of the last glacial period … Yellowknife would be under a large chunk of ice several thousand metres thick," said Pendleton. He said the most recent time the temperature was anywhere close to what it is today would have been 115,000 years ago, leading him to hypothesize the plants have been frozen since then. He said one of the advantages of doing experiments on the glaciers is they're "purely reactionary." "If the climate warms, the glacier will shrink. The climate cools, the glaciers will expand. And so their fluctuations are more a direct record of past climate change." But he said the research has to be done fairly quickly and regularly to be a good indicator because "once these plants are exposed, they are either removed from the landscape by wind and water, or they'll actually regrow." When that happens, the data are lost. "There is kind of a race against the clock in terms of getting the data, because once the glaciers are gone and the plants are removed or regrow, you lose the archive forever." He said the glaciers are retreating at an incredible rate. "Some of them will be gone within a decade," Pendleton said of the smaller, thinner glaciers. Pendleton also said some of the plants found were much younger, and the age of the plants had a large range. He said the study does not indicate any calls to action. Rather, it is a look at what the state of the glaciers in the region is at this moment. "The amount of action it would take right now would have to be extremely, extremely large in order to return our current climate," he said. Some residents of the area have noticed a change in the ice floes. Billy Arnaquq, 60, has lived in Qikiqtarjuaq, just off the east coast of Baffin Island, all his life. He has been an outfitter in the area for 18 years, and said he has taken clients out hiking in the Penny Ice Caps where many of the plant samples were taken and has noticed a change in the ice. He said that 10 years ago, there was an area in the ice caps where people would ski, but not any longer. "[It's] too dangerous, too much crevasses and some people kept falling," he said. As well, he took an artist to the glaciers in the area 11 years ago to take photos and make paintings. He recently took the same artist through the area again and said the change in landscape was astounding. "So much has melted [in] 11 years," said Arnaquq. It's not only the melting he's noticed. "The glacier used to be like pure white. A large area of it closer to the water has become ... muddy. "Once you come to that place it melts much faster … it seems [to] accelerate the melting process." Arnaquq said he isn't worried about the ice melting because the communities are good at adapting to the changing climate.